Many jailbreak fans are now feeling tired while looking for a working jailbreak tool for the software iOS 10. The reason is many are thinking that there will be a jailbreak for iOS 10 since it is in beta level, but now it is near two months of the public release of iOS 10 however still we couldn’t able to find a working public jailbreak for the firmware. But now there was an evident proven that jailbreak iOS 10.1.1. So let we see the real situation of the iOS 10.1 and iOS 10.1.1 jailbreak. You know that in the last October 2016 Apple has publicly released the iOS 10.1 with the main feature of Portrait mode for the iPhone 7 plus. Beside this there were another added features and enhancements available for more aspects like Apple map, Message app. And now in the last week there were demos available and that said two hackers were succeeded in iOS 10.1 jailbreak. Yes actually the jailbreak is currently not available for the public, but the hacker @ijapija00 has posted a video to YouTube and Twitter and it shows that working tweaks via Cydia on iPhone 7. So actually this is a positive sign for the jailbreak fans, but sorry to say that the hacker is not going to release the tool to the public. And it is clearly noted by the hacker with the reasons why he/she not going to release it to the public. On the last week Apple has released the iOS 10.1.1 to the public to fix the issue relating the health app. 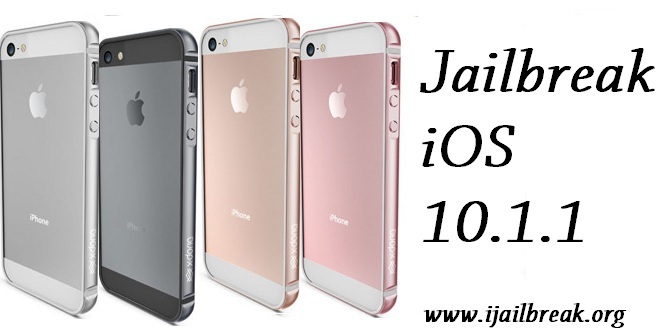 And it was a minor update for the Apple first iOS 10 update iOS 10.1.And now in the weekend there was a huge discussion occurring that iOS 10.1.1 has been jail-broken. Who have done this yes among the jailbreak Community the Italian hacker Luca Todesco has well-known for developing jailbreak tools, proven to the public and never sharing those tools with the others. 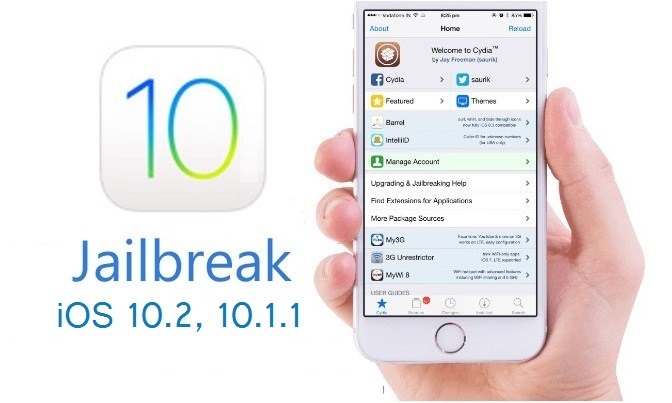 Obviously he has succeeded to run Cydia on the last on iOS 10.0.1, and now again he is came out with the iOS 10.1.1. 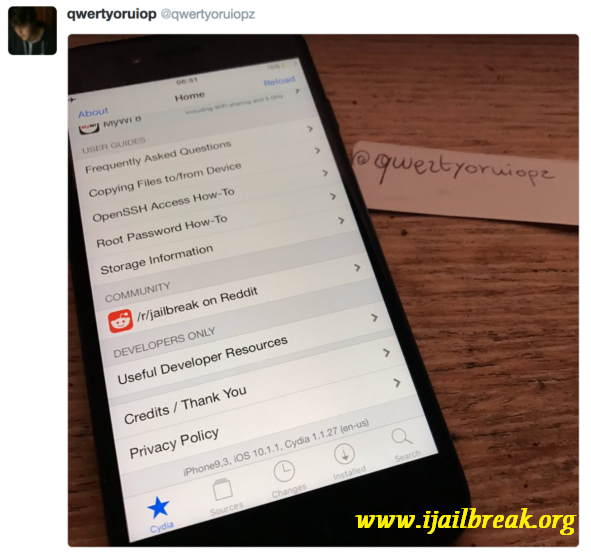 Really Luca is an established iOS hacker and this time he has tweeted an image to proven that iOS 10.1.1 has been jail-broken. So here he has shown that on his own iPhone 7 has running Cydia. And within this there was a positive sign to the jailbreak fans. That is iOS 10.1 is jail-breakable. But never hope a jailbreak tool from the Luca. He is never going to do that favor for you. When you thoroughly study on the above jailbreak demos you know that those hackers Luca and @ijapija00 will not ready to share the tool or exploit with others. So within those demos only we can get the idea that iOS 10.1.1 is jailbreak friendly. Well as usually it is better to keep faith among the hacker team Pangu or TaiG for the jailbreak tool. And as accordance with the relevant rumors the tool will not be so far. Sometimes jailbreak fans can use the tool couple of week in future. So it is better to wait for another time period then most probably the famous Chinese Hacker team Pangu will release the too to the public to jailbreak iOS 10.1.1 running iPhone, iPod and iPad. Until that stay tuned for updated news related iOS 10.1.1 jailbreak.